Our water situation in Cape Town stands at less than 27 percent drinkable water which is not enough to take us through our summer period. We, therefore, encourage every able person to attend the Salāh al-Istisqā on Sunday, the 10th of Muḥarram, at Chukker Road Sportsfield, Kenwyn. 1. To engage abundantly in Tawbah and Istighfār from all sins. This is because sin is one of the causes of drought and repentance attracts the blessings (barakāt) of Almighty Allāh. Be committed to the development of Allah-consciousness and refrain from sin. 2.To observe fast. 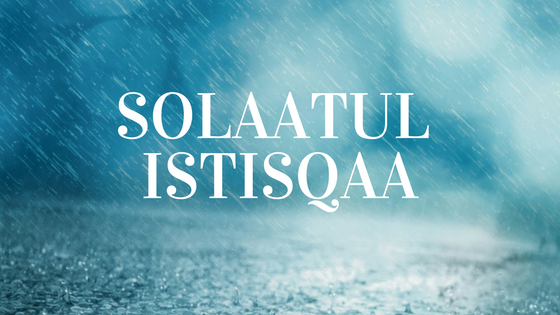 It is encouraged to fast towards the lead up to ṣalāh al-istisqā and to beg of Allāh, especially at the time of breaking the fast, to send down beneficial rain upon us. As a further blessing, this fasting coincides with the sunnah fasting of the 10th Muharram. 3. To give charity: This is agreed upon by all four of the major schools of fiqh to draw the mercy of Allah.